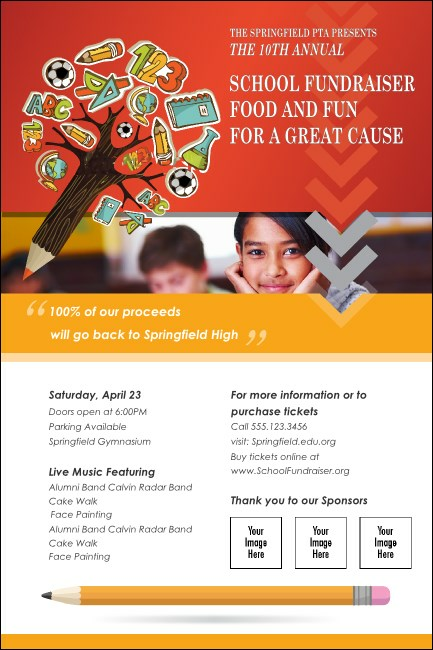 Learn the difference between good and great pre-event promotions when you print Fundraiser For Education Posters in advance for your charitable event. With space on the template to upload three of your own personal images on a red and gold background and a tree of school supplies off to one side, these Posters are a class act! TicketPrinting.com helps you turn in A+ advertising.